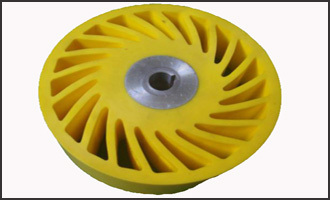 Sometimes called non-crush or zero crush wheels, these are traditionally used in the paper and board manufacturing process. They can be utilised in many processes, and are especially useful in production processes where products are needed to be moved through machines, without damaging the original product. An example of this is the corrugated cardboard industry. No-Crush wheels are designed specifically to handle materials that can be easily damaged by conventional wheels and rollers. 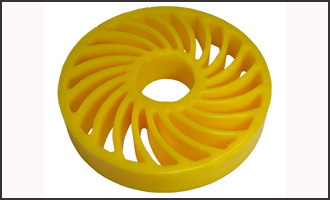 Available in virtually any size, shape or hardness, no-crush wheels from Urethane Innovators are readily used in the paper processing and corrugated industry. No-crush wheels allow plant lines to reduce production line downtime, by eliminating the need to constantly make fixed wheel adjustments. These adjustments, which can be for a ½” or less, reduce your productivity, and sap profits.